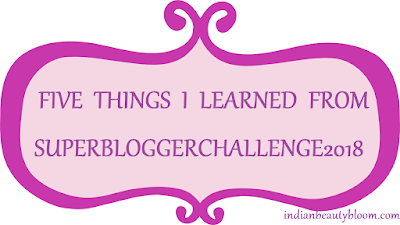 Back with an interesting post on Super Blogger Challenge 2018 . 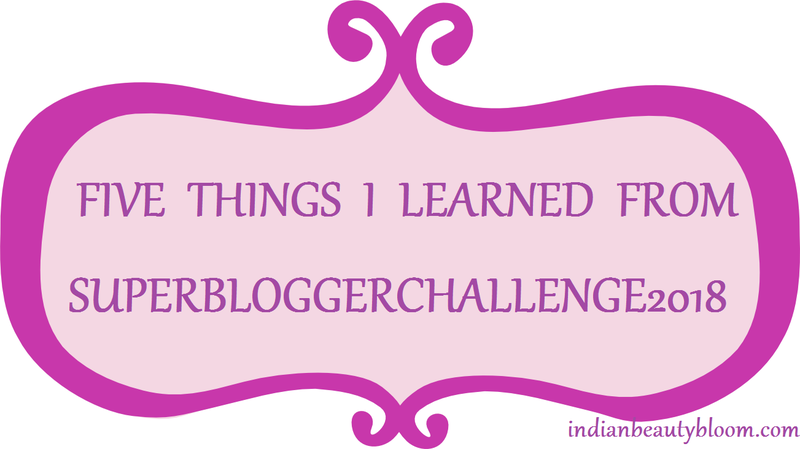 Today I will share five things I learned from this challenge . Super Blogger Challenge 2018 was started some six weeks back where as the participants are given weekly tasks to complete , the most important one to write a post every week , link it in the Linky , read and comment on other’s blog , then do weekly homeworks etc . I have a twitter account but I was not very active there , more on Facebook & Instagram. After joining this SBC challenge I became more active on Twitter , participated in some of the Twitter Activities which were part of this challenge . And learned more about Twitter Activities and Twitter is a good platform for bloggers to reach readers and brands . Now will be more active there and will try to connect with more people on twitter and this would definitely help my blog & blogging career . As a part of homework we were asked to make an account on Pinterest . I already had one but was not using it as do not had much idea about it . Now learning tips & tricks of Pinterest that how it can be used to share our blog posts there and get good traffic from there . I had read before on health benefits of drinking infused water but had little knowledge on it . learned a lot on Infusers , detox drinks , benefits of infused water etc. When we were given list of topics for these 10 weeks , I started thinking & planning on topics which I will cover , that made me more organized and planned . Earlier I used to read others blog but that was occasional not regular . When I read other’s blog I do get lots of idea’s and knowledge on varied topics . Every Challenge in Life teaches us few good things and we grow as a person with more knowledge & experience . This SBC has also taught me many new & good things and happy to be a part of it . Would love to read your comments on this topic . Allaboutthewoman.Com FashinableFoodz.Com and should not be repurposed , republished or used otherwise .